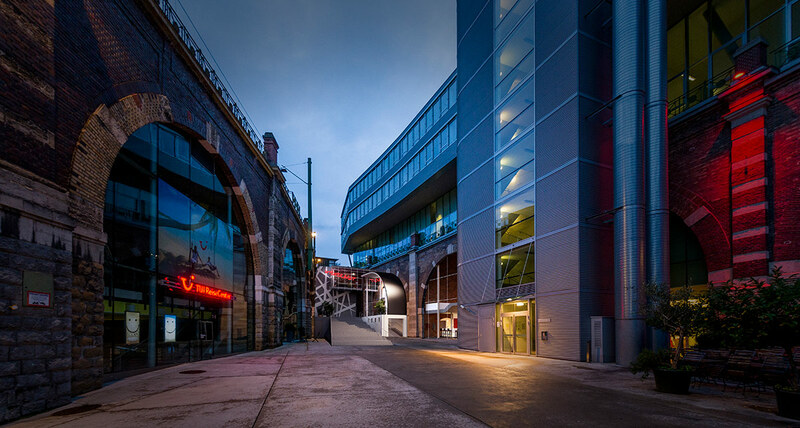 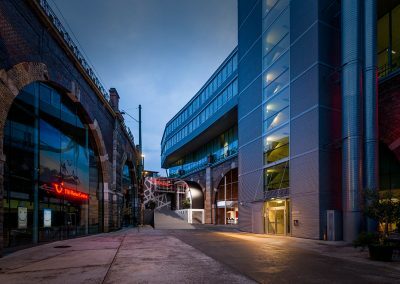 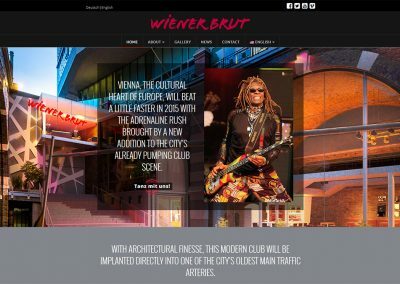 The proposed night club in Vienna, The Wiener Brut Music Club, is designed to integrate seamlessly into the city’s Stadtbahn, an elevated metropolitan railway built in 1898. 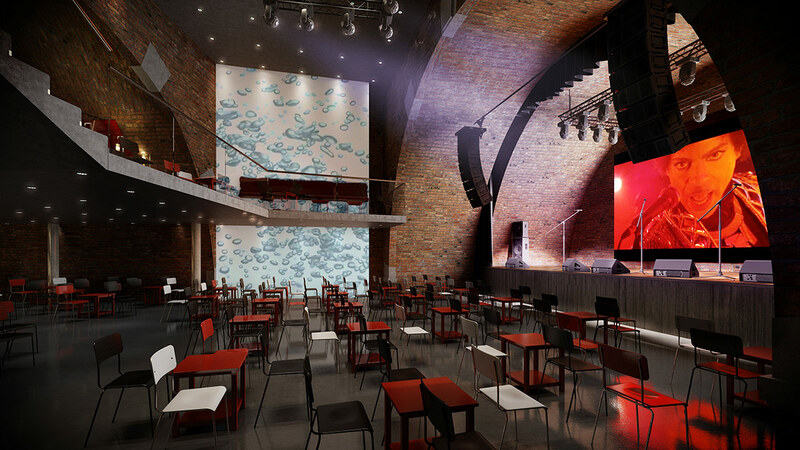 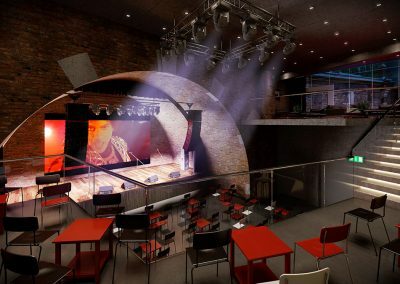 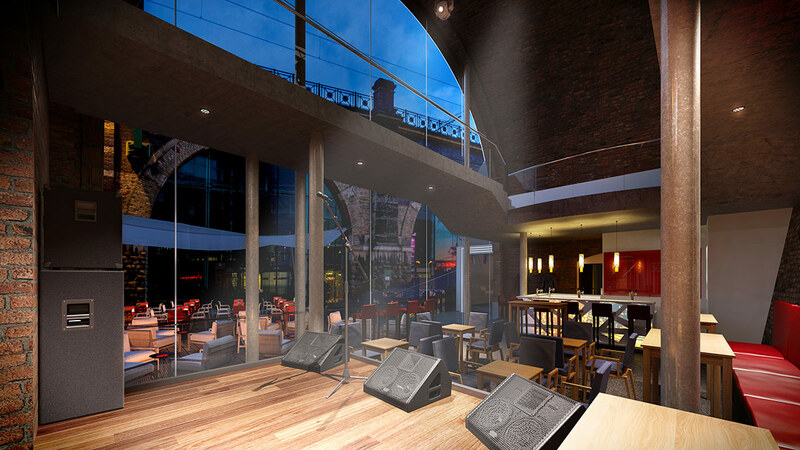 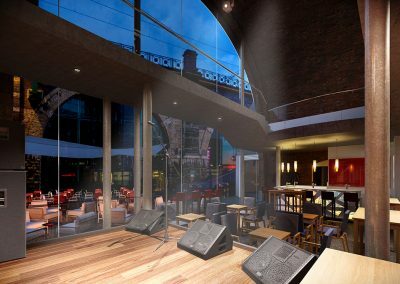 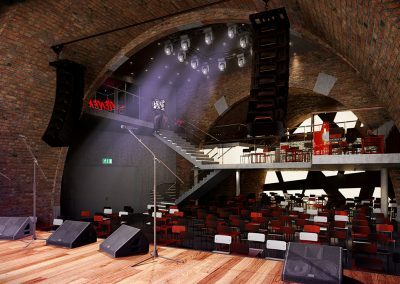 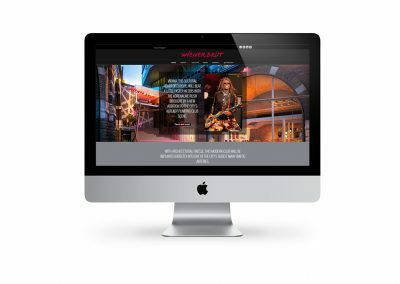 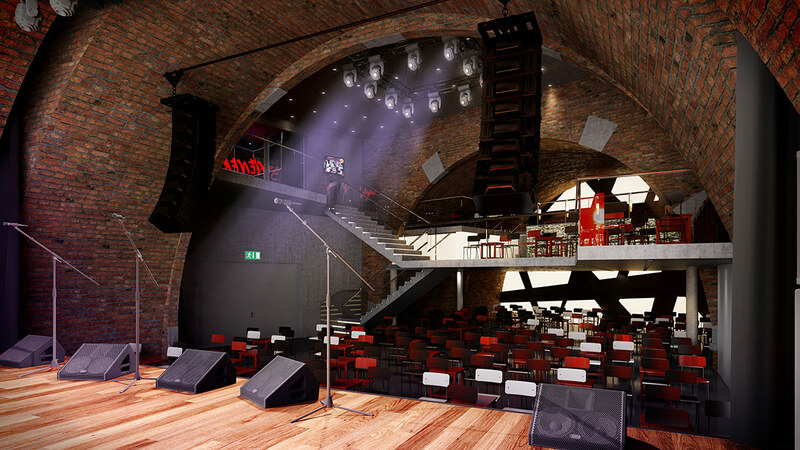 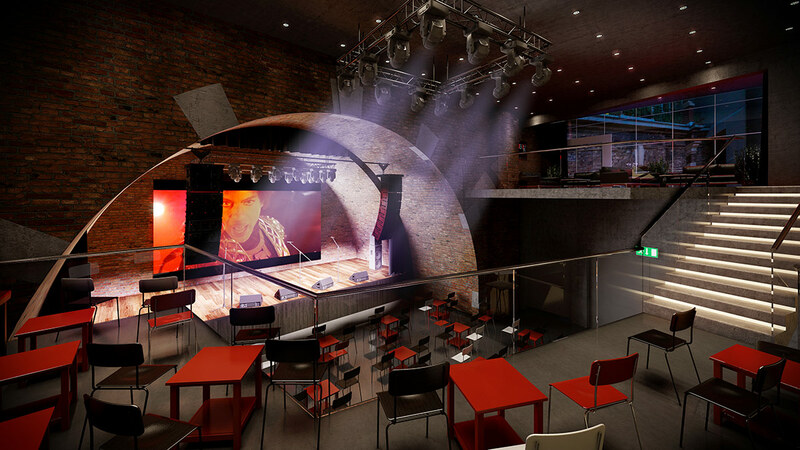 The project creates four historical landmark brick arches, converted into two pulsing, live-music stages. 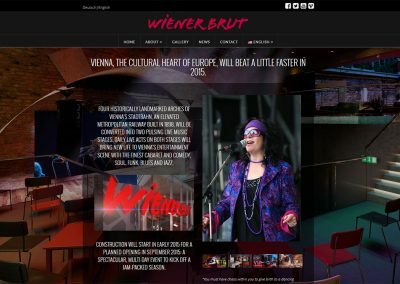 Especially relevant, the site is translated in English and German. 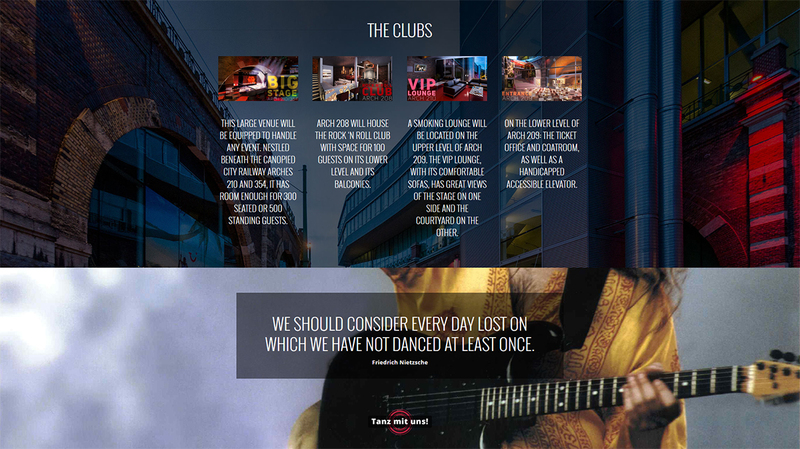 We created a promotional video for the night club, narrated in English and German. 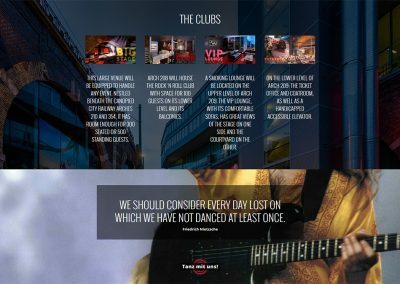 The video incorporates videography of the city, excellent still renderings, animated map sequences, as well as motion graphic overlays. 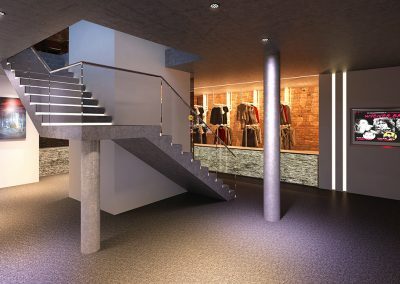 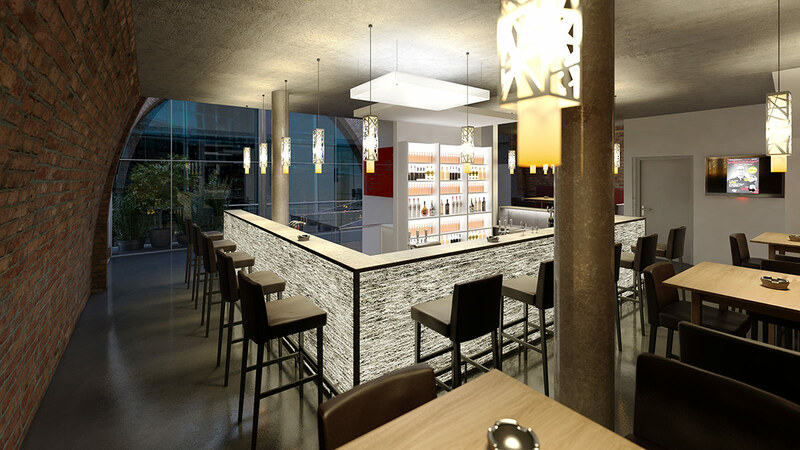 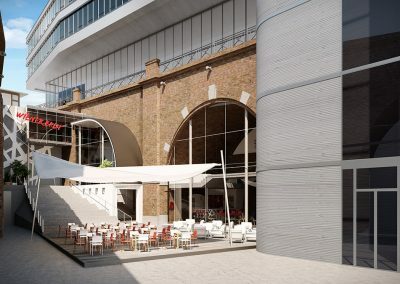 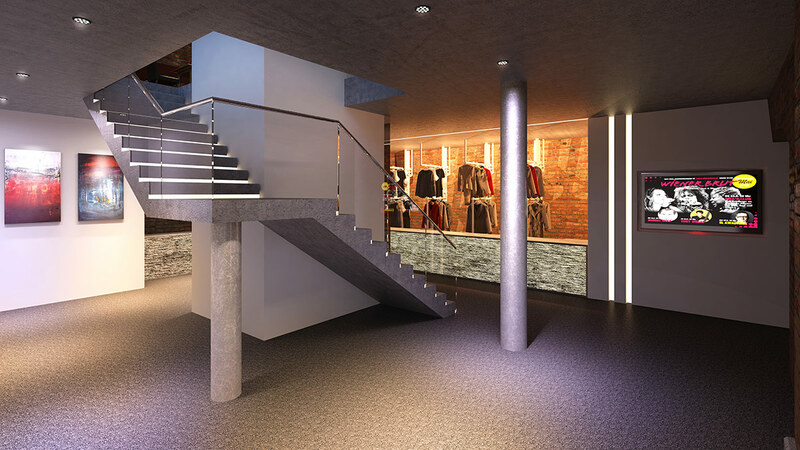 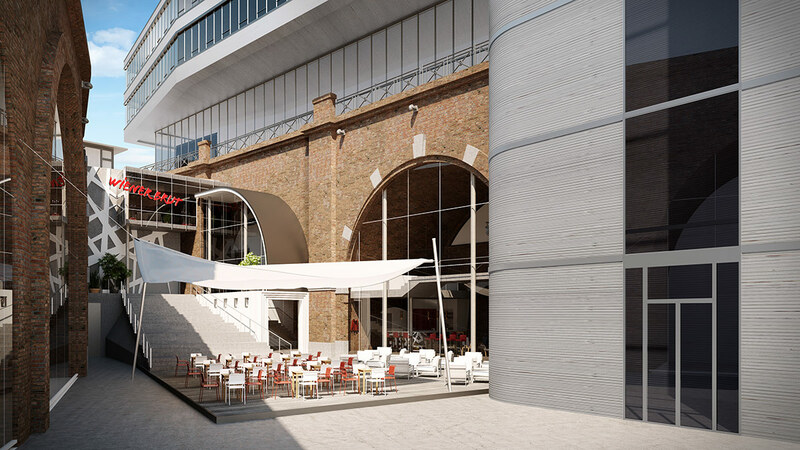 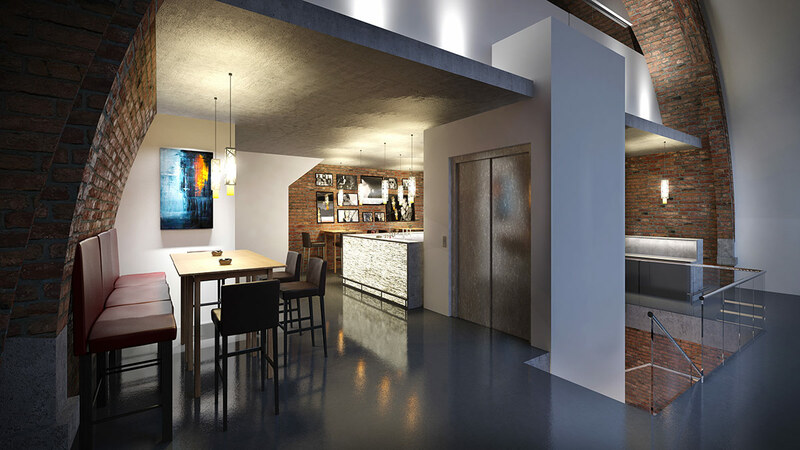 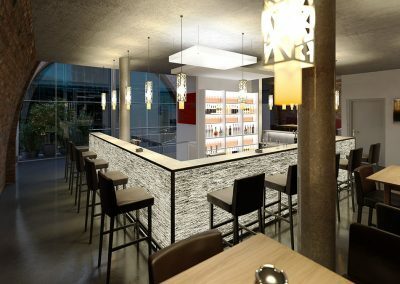 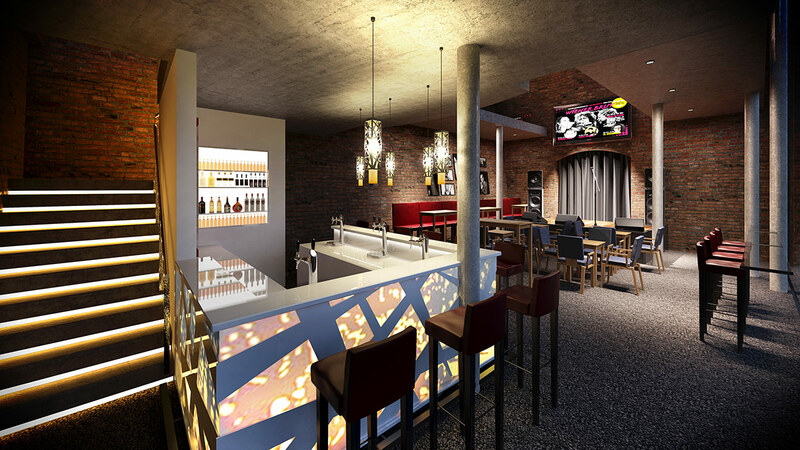 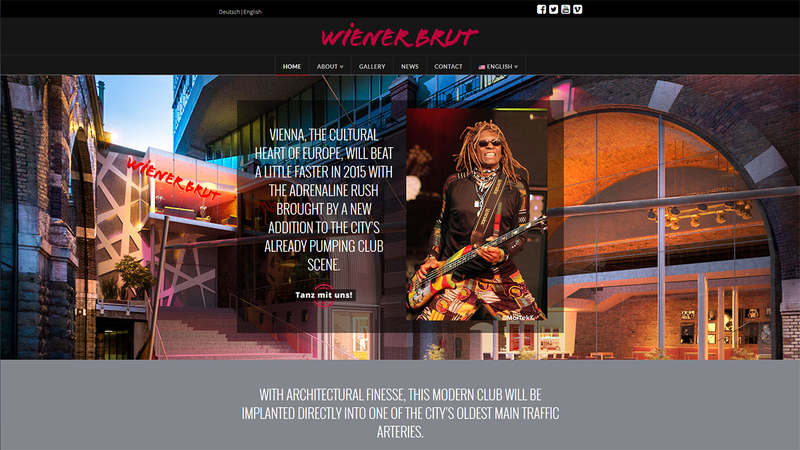 The renderings we created show two night clubs at the Wiener Brut, under the large stone archways, which are holding up elevated railroad tracks. 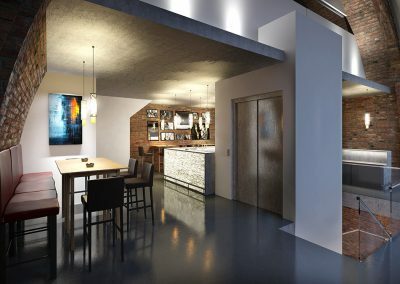 Additionally, the renderings integrate original photography of the site. 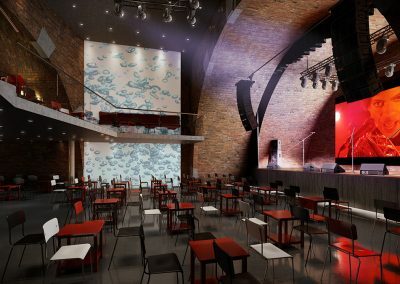 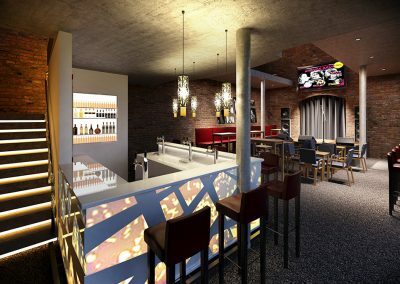 Finally, interior and exterior renderings showcase how the night clubs make use of bar spaces, a stage, and stadium seating. 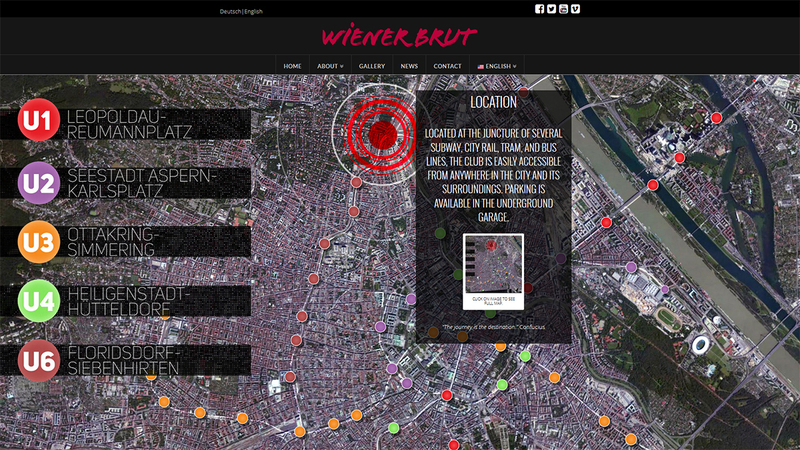 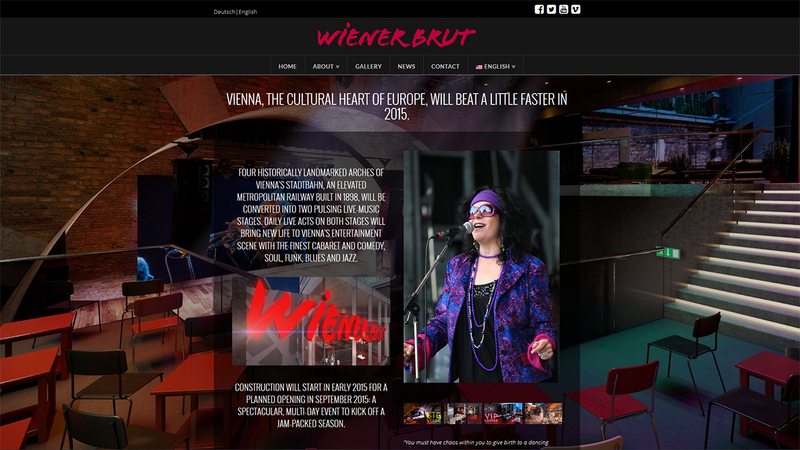 Our website for Wiener Brut was created in English and in German.